Watch one of the most shocking documentaries ever produced. Are you pro life? Pro choice? 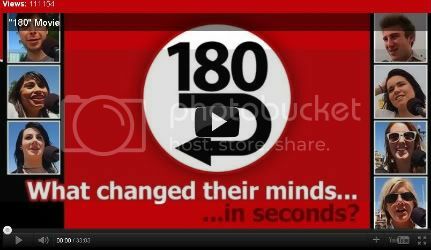 Watch, and be ready for an intense challenge. In Mormonism, this equation of, “grace plus”, is echoed throughout all of its scriptures, teachings, church publications, and prophets. Is What We Have Now What They Had Then? Is what we have in our Bible's now, what the original authors really said? Does the difference in the Bible Versions mean we cannot trust the Bible at all? Do textual variatians give validity to the mormon claim that the Bible is corrupt, and needed the restoration of Joseph Smith, so much so that we have a whole new book? 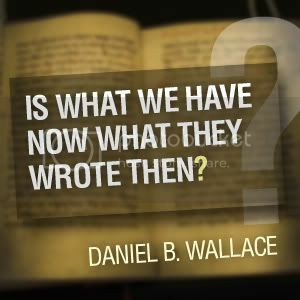 Listen in as Dan Wallace provides an intense and astounding look at the reliability of the New Testament, looks at textual variations, and through evidence, and reason, builds an amazingly strong case for the validity of the Bible. Listen in as Dr. Phil Fernandes presents a 3 part audio teaching on Mormon history and heresy. Learn how to answer Mormon missionaries from one of the leading apologists in cults. On May 6, 2014 Mr. Greg Trimble wrote a blog article called “the logic behind joining the Mormon Church”. He says in the beginning of the article that he and his family were in line at Disneyland when he overheard a couple behind him “bagging on Mormons”. He heard them saying that “mormons are soooo weird” but as he goes on to say, as they were making comments, he never heard any logical reason why Mormon’s were so weird! Mr. Trimble says that “I’m not one of those people that can just accept something without working it out in my own mind”.He says that he looked at every angle in order to come to his conclusion and devote himself to an ideology. In his next statements he goes on to say that he has studied every religion, read the catholic catechisms, hindu sacred texts, the koran, and primal religion writings. He also has studied with “non LDS PhD’s in religious studies, and has poured over the Bible”. To the average person it might sound like Mr. Trimble has really thought it out, and asked those hard questions concerning his belief. I wonder if he put as much effort into his articles on “Why God is a sports fan”, or “How you know you got the right girl or guy” it sounds like he put a lot of time investigating his position of why he joined the LDS church. In the article Mr. Trimble goes on to say “I’ve studied every single major religion and many of its factions. I’ve gone straight to the source in my studies of these religions because I know that I’ll never get an accurate depiction of a religion from its detractors”. That sounds like it would have taken a very long time. And after all that knowledge of studying every religion in depth, he decided to pursue a degree in technology? With all that religious knowledge what were those tough questions he asked himself of why the LDS religion is true? Forgive me for being facetious but one has to wonder how far his depth of religious study went, and the truthfulness of the statements made. I mean after all, it sounds like he is a religious scholar with all that knowledge. And he had to have made this decision before he went on his mission! He was what? All of 18 or 19? I’m writing this not just for Mormons, but for Christians too! Mormons wouldn’t write things like this if they were challenged by Christians who knew their faith. I’m finding it hard to believe with all of Mr. Trimble’s intensive religious study, that all he could find logically was the issues of “one true church”, “paid ministry” “families are forever”, and “liberal with salvation?” I fear that like Mr. Trimble, many Mormons come to these shallow conclusions because they have never had their faith challenged. I read a book recently written by Mr. Robert Millet, who is a professor at Brigham Young University called, “Getting At the Truth”. This book is suppose to be responding to difficult questions about the LDS faith. But as I read this I couldn’t help but also think of Mr. Trimble’s article as well. Shallow questions put forth for the Mormon to answer. It seems that the Christians that Mr. Millet comes in contact with, don’t know their faith, let alone the truth claims of the Mormon religion. Many issues that were brought to Mr. Millet’s attention were very shallow things that are easy for the Mormon to dismiss. For instance, Mr. Millet’s Christian friend brought up blood atonement, and how the Mormons believe in this doctrine. Mr. Millet exclaimed that they do not. Mr. millet went on to say that, “we believe in the blood atonement of Jesus Christ alone” he continued by saying that, “such statements were made, for the most part, during the so-called mormon reformation and they were examples of a kind of revival rhetoric through which church leaders were striving to raise the bar for members obedience and faithfulness”. By these statements Mr. Millet was able to convince this Christian that this was the reason for this doctrine. Anyone who does a little reading will find out that Mr. Millet was being deceptive, and untruthful. Suffice it to say, these are the all too familiar situations that take place amongst Mormons and Christians. Christians need to stop confronting the Mormons with issues like polygamy, blacks not receiving the priesthood, blood atonement etc. Christians need to look at the source of what encompasses the Mormon belief. It is the Book of Mormon. Many arguments become circular with the Mormon people. And many times the Christian cannot even answer intelligently issues in their own faith, let alone the Mormon religion. I’m not minimizing the seriousness those issues raised, but they are not at the heart of the Mormon religion. The Mormon will find as the center of their belief this ancient book that was translated by Joseph Smith. The only question that Mr. Trimble should have asked, and looked into, was is the Book of Mormon comparable to the Old Testament record? This is at the heart of the mormon religion! The Book of Mormon came first! If it is not true, then the rest fails in comparison. You have to separate the document from the translator. What do I mean by that? The document preceded Joseph Smith, regardless of the translation into english, this document should stand or fall on its own critic outside of Joseph Smith. Unless the Mormon wants to say that Joseph Smith was back in 586BC! So therefore, the events in the Book of Mormon will stand alone. I want Mr. Trimble, and many other Mormons to really look past the shallow arguments, and really listen to what I have to present. You can’t have something be wrong, and full of error, and say in your heart that it’s true. I will not minimize the intellect of the Mormon people. Many are doctors, lawyers, and business men etc. I will not insult your intelligence. Mormons have spent many years in school for their professions, so they are able to think critically concerning matters that pertain to their vocations. So why should your faith be any different. In the article by Mr. Trimble, not one thing was mentioned about reading critically concerning the Book of Mormon, and why it’s true. I will start by asking you a question. Is the same Holy Spirit that authored the Old Testament, the same spirit that authored the Book of Mormon? Your answer should be yes. And since it’s the same Holy Spirit we should have consistency within the two documents right? You should be nodding your head yes. Good! Let’s move on. During this discussion we will just focus on the family of Lehi. I will give a quick summation of the events that the Book of Mormon claims surrounded Lehi and Nephi before they left to the America’s. During this time in Jerusalem before and after the recovery of the plates of brass, Nephi, and Lehi offered sacrifices and burnt offerings to the Lord (ch. 5-7 of 1 nephi). This was a prophecy given by Joseph Smith in 1833 concerning where the temple would be built, and the regathering of Israel in Missouri, and the sacrifices that would be instituted by the sons of Aaron. These will be the areas that we will look into. Now to Mr. Trimble, and to the Mormon I want this to sink in. The Old Testament is serious business. Many people were dying daily for disobedience to God, and His law. Now I know that the Mormons believe that the things that happened in the Old Testament were real, and that they had a purpose. I’m sure Mormons will affirm that these prescribed events actually happened  in history. Let us go point by point and see if the Book of Mormon holds to the orthodoxy of the Jews, and the events that went on in that time. Lehi and his family would have lived during the time of Jeremiah the prophet. Lehi as an orthodox Jew, would have followed the Law of Moses, partook of the sacrificial system, and attended the Day of Atonement, all which are prescribed in the book of Leviticus. Now with Lehi living during this time, he would have been aware of all of the nation of Israel’s history. Though we are given a date of 600BC for his life, we know that he would have been aware of his exodus out of Egypt, the patriarchs of Genesis, (Abraham, Isaac, and Jacob), the story of King David, his reign, the temple prophecy in 2 Samuel 7, the building of the temple by Solomon, and the dedication of the temple in 1 Kings 8-9. Lehi also would have known of the kingdom split in 1 Kings 12-13, how Jeroboam was a wicked king that caused people to worship in a place not prescribed by God, ordaining priests that were not prescribed by God, and instituting festivals on different days, also not prescribed by God. Lehi also would understand the monarchial system that was set in place for the kings of Judah. He would have known the theocracy he once lived in, thus turning into a monarchial system in the time of Samuel. Lehi would have been an orthodox Jew, which means he would have known the promises of God as far as restoration was concerned. Though many prophetic oracles of judgment were given concerning God’s people, he would have known that when captivity came, they once again would be brought back into the land that was promised to his fathers. Lehi methodically would have woken up every morning and night and would’ve recited “the Shema” (Hear, O Israel! The Lord is our God, the Lord is one. Deut. 6:4) which was imprinted on the mind of every Jew who lived in Jerusalem. Lehi would have known the stories of those that offered sacrifices, who were not ordained, nor offering in a manner that was prescribed by God. These are the stories from Leviticus 9-10, of the fire that rained down from heaven and God consumed Nadab, and Abihu. Lehi would have also known what happened to kings who were not priests and yet offered sacrifices to God. They would have been executed, thus bringing to Lehi’s mind the story of Saul in the book of Samuel. I write this not as a defense, but laying the foundation of what Lehi would have known, practiced, and loved daily. There is no excuse for Lehi not knowing what was written in the Law of Moses. He would have known his history, his heritage, and the pain and sorrow of those who disobeyed God’s law, and those who paid the ultimate price for it. Death. And if the same Holy Spirit that authored the Old Testament is the same Holy Spirit that authored the Book of Mormon, then there should be no inconsistencies or errors. Now knowing what Lehi would have known about the laws pertaining to priests and offerings of sacrifices according to the Old Testament, were Lehi and Nephi priests? Could just anyone offer sacrifices to God? The Book of Mormon states Lehi and Nephi were prophets not priests. They would have known what was prescribed by God, and what was not. Lehi would have known the story of those such as Eli and his sons in 1 Samuel ch.2, where Eli’s sons were worthless in the sight of the Lord. Eli rebukes his sons, but they would not listen. The Lord desired to put them to death.This was a sin of commission. In the story we see a vivid picture of God’s holiness. In 1 Sam. 2:25 we read, “If one man sins against another, God will mediate for him, but if a man sins against the Lord, who can intercede for him?” Thus showing that it was serious business to sin against the Lord in this way. The Lord wiped out Eli, his sons, and his generations for disobeying the commands in the Law of Moses. Think of this. They were chosen by God to be priests! 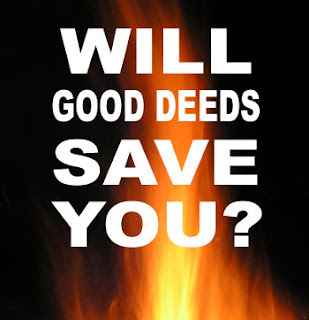 What do you think God did to those who were not? Now the Book of Mormon claims that Lehi was from the Northern tribes, thus he would have known full well the weight of sin that came upon the Northern kingdom with its demise in 722BC by the Assyrians. As we noted earlier about Jeroboam and his instituting of golden calves to worship. This was done in an effort to keep the people from going to Jerusalem to worship as commanded in Deut. 12. Thus bringing sin and judgment on the people to the point of destruction. Lehi would have had full knowledge of these events. He would have seen the holiness of God and understood His law concerning these things. Yet Lehi and Nephi offered sacrifices to God, and build altars not prescribed by God? The worst part is it is not in America where this is said to have happened, it is in Jerusalem before they would have left to the Americas. There is no excuse for this behavior. This was the ultimate sin against God. Yet the Book of Mormon says they were blessed for it? Now if the same Holy Spirit that authored the Old Testament is the same Holy Spirit that authored the Book of Mormon, then Lehi and Nephi would have been punished by death. There was no excuse in light of all the revelation that Lehi would have been given and would have had knowledge of. This is real. If you understand the Old Testament law you could come to no other conclusion that this was not consistent with the God of the Old Testament. He would not put to death those He ordained for breaking His law, then turn his back on Lehi and Nephi for their sins that were punishable by death. Now I ask Mr. Trimble, and the many Mormons who will read this, logically, what is to happen to Lehi and Nephi? Be honest with the text, if it’s the same Spirits, you know there is a problem. There was no excuse for Lehi and his family for what they did. Now we will continue with the prophecy given by Lehi in 1 Nephi chapter 10. Lehi predicts the Babylonian captivity. He says, “That many will be carried away captive to Babylon, according to God’s own time, they should be brought back to the land of their inheritance” (1 Nephi 10:3). This prediction was given in 600BC and 592BC. These are the dates given by the Book of Mormon. This is during the time of the prophet Jeremiah. Now this is something that was also prophesied by earlier prophets as well, however, Jeremiah was there to see it come to fruition. There were three waves of captivity. The first wave was in 605BC where King Nebuchadnezzar came and took captive all the royalty of Jerusalem. Princes, kings, and people of high stature. In the first wave they took Daniel and his friends. The second wave the Babylonian army came and took the common folk of Jerusalem in 597BC. And the final destruction was in 586BC where they burned the city, the temple and killed the kings that were instituted by Nebuchadnezzar. Those that escaped, (not many) ran off into the wilderness, and commingled with other nations thus where we get the Samaritans. Now let’s take a look at this logically shall we? If the same Holy Spirit that authored the Old Testament, is the same Holy Spirit that authored the Book of Mormon, than there should be no issues right? So how was Lehi predicting something that was in the middle of happening? Lehi is said to be making this prediction during the middle of the second wave of captivity! Daniel the prophet had already been exiled for 5 years when this prediction was said to have been made. This is a very serious error on the part of the Book of Mormon. How is it that Lehi and his family escaped during this time when the Babylonians had surrounded Jerusalem? No one would have escaped. There was famine and killing everywhere. King Nebuchadnezzar surrounded all of Jerusalem, as Jeremiah predicted in the beginning of his ministry. This is not a prediction. I want this to sink in well. How does he predict something that is already happening?!! It has to be real! God is not the author of confusion. Lehi would have known full well of the things that were happening, are we to believe that Lehi had no knowledge of the things that Jeremiah was predicting? If they lived in the same time, there is no excuse for Lehi not to have known what was happening all around him. If it was during the time of Zedekiah’s reign as Lehi says, he would have known that he was put into kingship by Nebuchadnezzar. That’s serious! Lehi does not mention something that he would have known happened with his people in 722BC with the Assyrians, and all the prophecies made up to this point? It would have been impossible for him not to know what was happening. Lehi would still have been in Jerusalem during the time of this prophecy. This was the biggest event in Jerusalem’s history outside of the resurrection of Christ. Now I ask you Mr. Trimble, and all Mormons who read this, can you say honestly in your heart that you know the Book of Mormon is true in light of this? You’re not thinking logically if you say yes. And with all your study Mr. Trimble, I find it hard to believe you looked into this. This goes beyond what you feel. This is your foundation on which your testimony stands. The heading of 2 Nephi chapter 5 reads as follows, “The Nephites separate themselves from the Lamanites, keep the Law of Moses, and build a temple”. This one is very serious to me. I want this to be understood in light of who God is, and how He is to be worshiped. Mr. Trimble mentioned going to synagogs. I wonder, did he ask concerning a temple, and where it is to reside? Or where a Jew, in the time of the Old Testament, worshipped? I believe the critical questions that needed to be asked were not asked at all. I mean after all,the Torah is what they would be using as scripture. The same Torah that Lehi claimed to have had, obeyed, and followed. We will look at this section in light of the Torah that Lehi would have possessed. In Deuteronomy 12 it states the following, “Then it shall come about that the place in which the Lord your God will choose for His name to dwell, there you shall bring all that I command you: your burnt offerings and your sacrifices, your tithes and the contribution of your hand, and all you will vow to the Lord” vs 11. What is very interesting to note is that Yahweh was one not many. He dwelt in one place. Jerusalem. For instance, in the book of Exodus and Numbers, when God moved, the sanctuary moved. They did not reconstruct the sanctuary over and over again. It moved with the people. God was one. And they would worship that God in one location, not many. This idea was so ingrained in people that even the Samaritan woman at the well, speaking to Jesus in John 4, knew where worship was to be had for the Jews! So now we are to believe that God had another place of dwelling, and that a temple was built after the manner of Solomon in America? I’m sorry Mr. Trimble you can’t get out of this one. This hits you right in the face with the reality of who God is, and where He will dwell. How is it that Lehi and Nephi, knowing all this, having the Torah, saying they follow the Law of Moses, knowing all the history with the temple and its commands, were able to build a temple outside of Jerusalem, which was not a place prescribed by God? They could not. And they would have known that. Now I find it hard to believe that through Lehi, and Nephi’s construction of this temple, that the story which would have been all too familiar to them, considering that their claim is that they are descendants of Joseph, wether that be they were from the tribe of Ephraim or Mannasseh, would have recalled the story in the time of Joshua where Gad, the half tribe of Mannasseh built an altar in the land that was not prescribed by God, and all of the tribes of Israel came against them to war! It was that serious! But we are to believe that Nephi and Lehi went ahead built this temple in America in light of all that they have seen and read? I’m sorry, it is impossible. If the same Holy Spirit who authored the Old Testament, is the same Holy Spirit who authored the Book of Mormon, then this should not be an issue right?!! If Lehi and Nephi were orthodox Jews, and they lived by the Law of Moses, then how could this be?! Can you honestly say they were commanded by God? I’m sorry you can’t. I want to direct your attention to something that is critical in the acceptance of where God dwells. When Moses finished the building of the sanctuary in the book of Exodus, what did you see in the completion of it? You saw God’s approval of it right? Exodus 40:34, “then the cloud covered the tent of meeting, and the glory of the Lord filled the tabernacle”. You might have missed this, but God did not. Same thing in 1 Kings with the temple that Solomon built for the people of God. 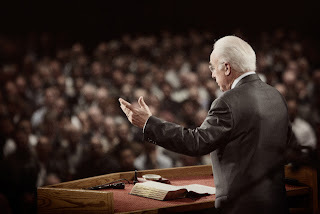 When it was finished God appeared to Solomon after his prayer, and told him, “I have heard your prayer and your supplication, which you have made before Me, I have consecrated this house which you have built by putting My name there forever, and My eyes and My heart will be there perpetually” (1 Kings 9:3). So you see, God will approve of the place His name dwells by His glory resting over it. So much in fact, that when the temple that Nehemiah and Ezra built was being constructed the people started to weep. Why? Because they remembered the splendor of God’s glory that rested over Solomon’s temple. That glory was not over the temple in the days of Nehemiah, after they returned from captivity under King Cyrus. The next time you hear of this glory resting upon the temple is in Ezekiel’s vision of the millennial temple, and how that glory will once again rest over it. But in 2 Nephi you read nothing about the glory that rested over the temple. This is crucial in understanding God’s house, and His approval of where it dwells. This would have been all too familiar for Lehi and Nephi to just nonchalantly brush aside. They would have had the Law of Moses, they would have known the seriousness of what they were doing. They would have known what had happened to their people in the Northern kingdom, and why they were destroyed. Yet we see Nephi ordain priests that were not ordained by God, in the same manner that Jeroboam did. We then see statements by Lehi and Nephi that say, “If we follow the Law of Moses we will be blessed”. If they were orthodox Jews as they say they were, then there is no way they were able to do this and be blessed. Mr. Trimble, this was a very serious issue with Yahweh. Can you really say in your heart that you believe the Book of Mormon is true in light of what you have seen, and heard? If the foundation is false so the rest crumbles. It is as real today as it was for the people of God in the Old Testament. Finally we draw to a conclusion with this last point. This is from D&C 84. This is a prophecy concerning the temple in Missouri, and the re-gathering of the Jewish people. • Northern kingdom exiled to the east by the Assyrians- 722BC. • Southern kingdom exiled into the regions of the Babylonians- 605, 597, 586BC. • Jews came back with King Cyrus in 538BC as mixed tribes- Judah-Samaria. • In 1948 the Jews came back as the nation of Israel. One people living as one nation. • Assyrians and Babylonians were the first to capture the land and remove the sovereignty of the Jews, then the Persians, then the Greeks, and finally the Romans. • The time of the Gentiles will continue until the days of the end. • The Jews revolted against the Gentile rulers in 66AD. This attempt was unsuccessful and Titus Vespasian besieged Jerusalem, and the city fell in 70AD. • The next 18 centuries the land of Israel was barren and unsettled. • Several thousand Jews fled Eastern Europe to escape the pogroms. During this time a man name Eliezer ben Yehuda decided the Jews could be united if they had a common modernized form of the Hebrew language. He accomplished this and the language is still there today. Thus fulfilling the prophecy of Zephaniah 3:9 (one pure language). This is amazing to see God’s faithfulness to His people! God’s word is true! There are many things we can see through the course of history with the Jews to where you can say, yes! God is definitely at work in Jerusalem, and one day we will see the final consummation of what He will do for His people in restoring them, and building that temple that they longed for. Now Mr. Trimble, I would like to ask some questions if I could. … What have we seen as far as a gathering of orthodox Jews in Missouri? … How many orthodox Jews have you seen converted to Mormonism? … Is there currently a temple in Missouri that Joseph Smith prophesied about? Well this is it! This is what the foundation of Mormonism is. Notice I didn’t talk about temples, or polygamy, or African Americans not receiving the priesthood. This is the heart of all the Mormon church stands on. Your testimony and all you do stems from this. If this is not true than you have believed in vain. You can keep telling yourself that the Book of Mormon is true, but what I have shown you is undeniable. What is the official church position on a gathering in Missouri? There is none. Look at what God has done for his people in Israel. It can’t be denied! I always say “I’m not going to talk to you about the New Testament, if you can get out of the Old”. Think logically as Mr. Trimble said, and look at your beliefs. You can’t have a foundation that’s wrong and have it frizzle off to faith in Christ. If the foundation is wrong, you have believed in vain. Where are the Jews?! Now I’m going to put an end to an objection I’m sure will be raised. This prophecy from Smith about the gathering of the tribes of Israel was made years before the temple ordinances ever came about. Joseph Smith never had in mind this idea that the Jews he was prophesying about were the LDS people. So you can’t say we are the Jews! No. That only took place years later. During this time the temples were not even built, nor were the temple ordinances instituted. No. The Jews that Joseph spoke of were the literal tribes, not spiritual ones. I am responding to this article in love for the Mormon people who have been and who are being deceived. I find it interesting that the LDS community makes the claim that Christendom is shallow and doesn’t know their faith, yet when confronted by real issues such as the ones I have raised you fall back on a testimony instead of really looking at the issues. I am not anti-Mormon. I just love Old Testament history, and the Book of Mormon makes the claim that it is comparable to the Old Testament. As I have shown it is logical not to join the Mormon church. You don’t have to dumb down yourself because of your faith. Christ asks us to examine ourselves in light of His word. God’s word stands alone. The orthodoxy of Lehi and his family are in question. What are you going to do? Will you disregard, or will you give this article the due attention that it needs. If you doubt me, ask yourself, ask the leaders, where are the Jews in Missouri? Where is the gathering Joseph spoke about? Thanks to Adam and Eve for ... Sinning? 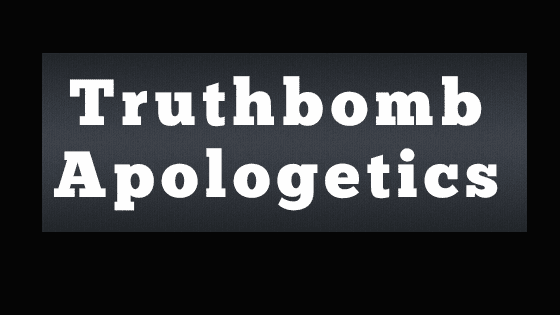 Does Revelation 20:12 teach justification by works? Refuting Mormon Proof Texts - Can Man Become God? CARM analyzes religions such as Islam, Jehovah's Witnesses, Mormonism, Roman Catholicism, Universalism, Wicca, etc., and compares them to the Bible. We also analyze secular ideas such as abortion, atheism, evolution, and relativism. In all our analyses we use logic and evidence to defend Christianity and promote the truth of the Bible which is the inspired word of God.